I’ve become quite familiar with Vail, Colorado over the years, and I’ve become quite the fan. In addition to being a World Class ski resort, Vail is a foodie destination, shopping haven and a top spot for adventure seekers. The view from our room’s balcony at Four Seasons Vail. While you can find “fancy” in Vail, it’s mostly laid back, even at Four Seasons Vail where I stayed, along with my friend Karen, earlier this summer. 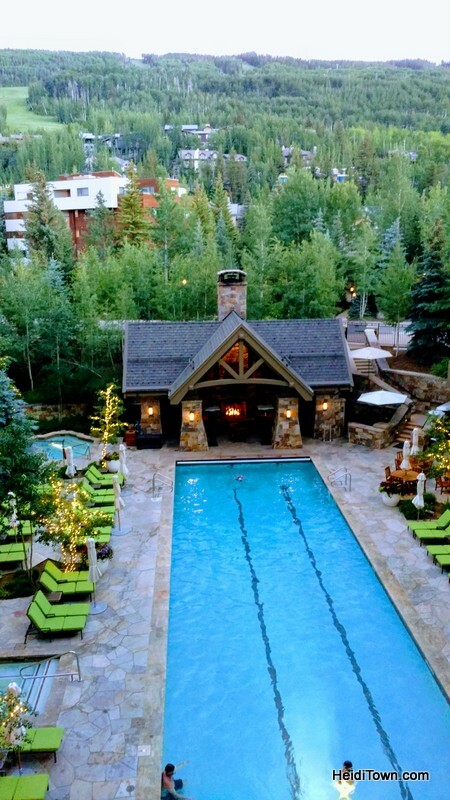 An evening shot of the pool at The Remedy at Four Seasons Vail. The words Four Seasons, evoke a feeling of class and elegance, and while this Vail property has both, it’s not intimidating. The rooms are large and comfortable and the service is top notch—I’ve decided that’s what truly sets a place like this apart—service. Waste paper baskets seemingly empty themselves and dirty dishes simply disappear from one’s guest room. If that doesn’t rate as first-class service, I don’t know what does. There are two restaurants at Four Seasons Vail, Flame, a steakhouse, and The Remedy. In collaboration, the two created my favorite lamb dish at Taste of Vail, a banh mi sandwich. 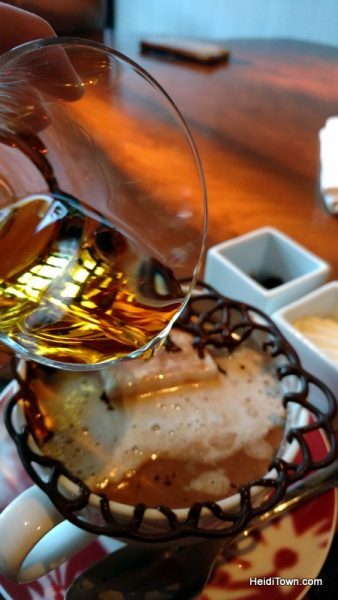 During our stay at Four Seasons Vail, we dined at The Remedy, which has a view and is more bar-like than Flame. 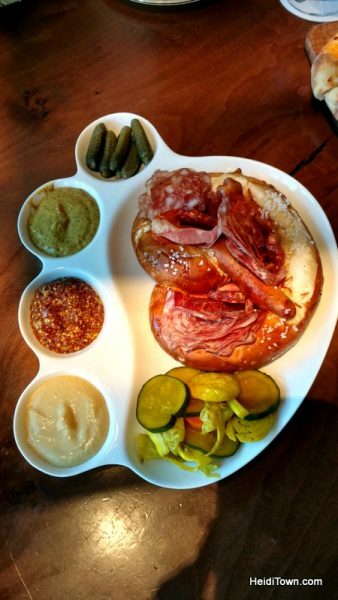 I highly recommend ordering the pretzel appetizer. It’s a great compliment to a day at the pool or on the slopes. It’s perfect anytime as is the Four Seasons’ World Famous Haut Chocolat. 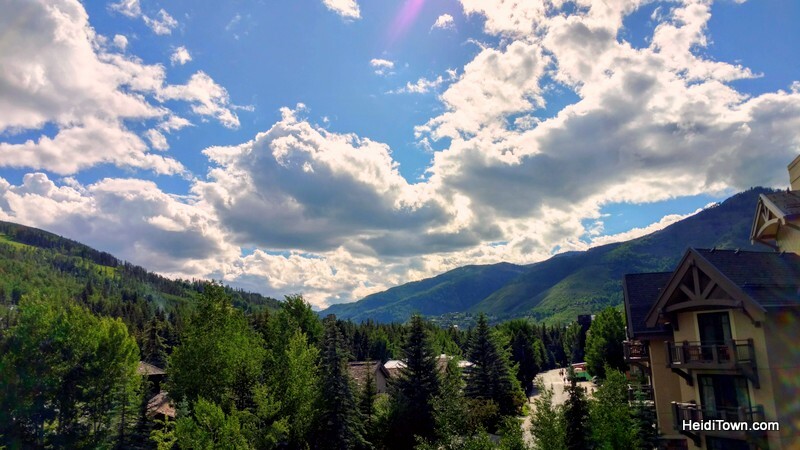 The location of Four Seasons Vail makes it easy to explore both Lionshead in the western part of Vail and Vail Village, right next door to the hotel. Karen and I got around Vail on foot, jumped on the free bus and even tried out a pedicab. 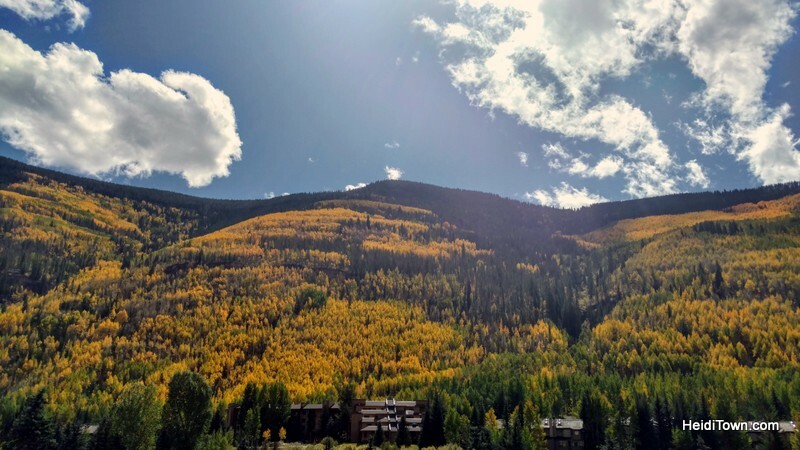 Honestly, I prefer to walk and Vail is a beautiful place for a stroll; in the summer the town’s a riot of colorful flowers and in the fall the mountains, which are all around, turn golden. I snapped this photo while traveling through Vail on September 24, 2017. Despite my love of walking, I must admit that the town’s free bus system is awesome and I utilize it a lot when visiting Vail. They even run electric buses, something that helped them obtain certification as a sustainable mountain resort destination. They are, in fact, the first destination in the world to be certified Mountain IDEAL (read more here). No matter what your thoughts are on environmental stewardship it’s incredibly convenient. For instance, Vail stations workers at recycling bins during events such as Taste of Vail in order to help people know where to put their trash. I wish all festivals would provide this level of recycling service because it’s hard to know if one is doing it correctly. 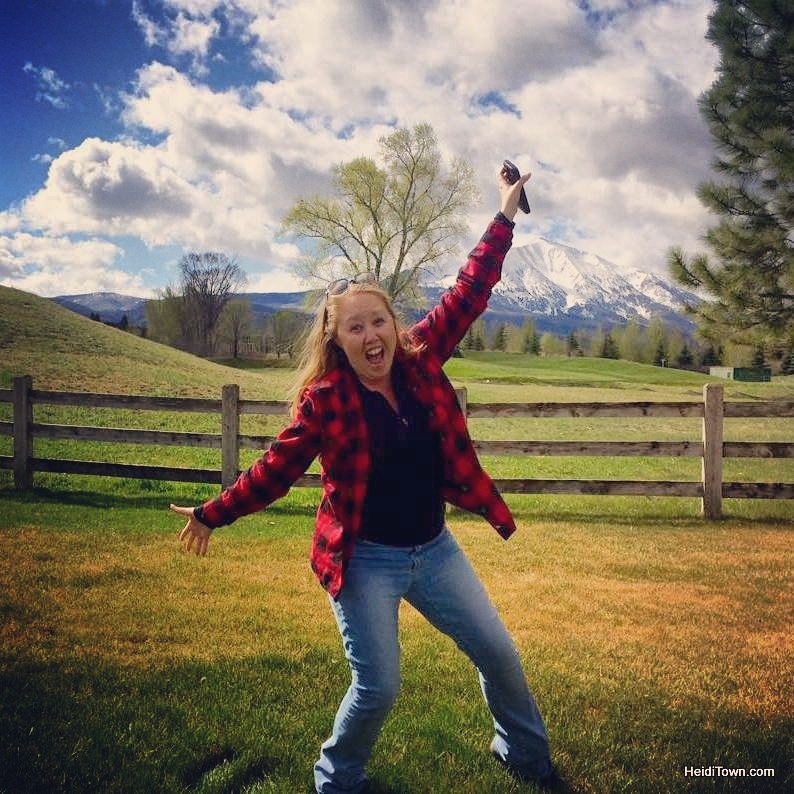 During our trip, Karen and I browsed the Vail Farmers’ Market & Art Show and I was blown away. First of all, this market is huge. It occupies nearly the entire length and breadth of Vail Village. Second, the variety, quality and quantity of food here is mind-boggling. I would need to visit every Sunday for an entire summer in order to try food from every booth and even then I’m not sure I’d make it through all of them. There are also art vendors, bakeries, cheesemongers and veggie sellers. 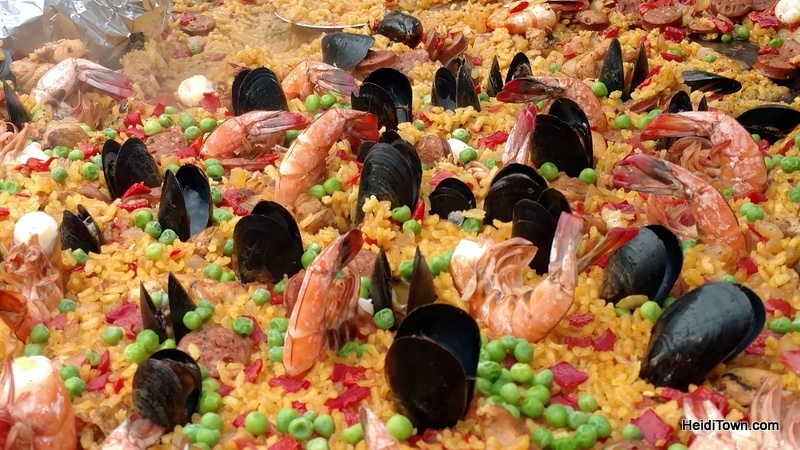 Spanish paella at Vail Farmers’ Market. The Vail Farmers’ Market & Art Show runs through October 7, so you still have time to make it part of your plans this year. 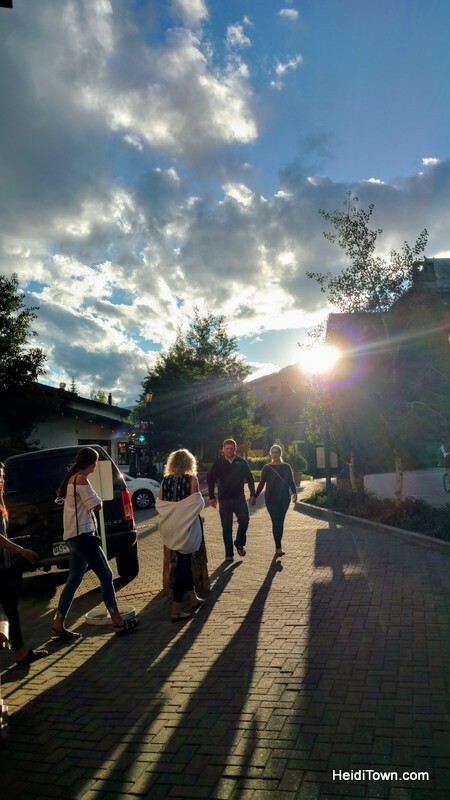 I’m heading to Vail again this fall to experience the Fall Wine & Food Classic, one of Taste of Vail’s signature events taking place on Saturday, September 22. As a huge fan of Taste of Vail, I’m excited to take part in this food and wine festival that occurs at the Gerald Ford Amphitheater. 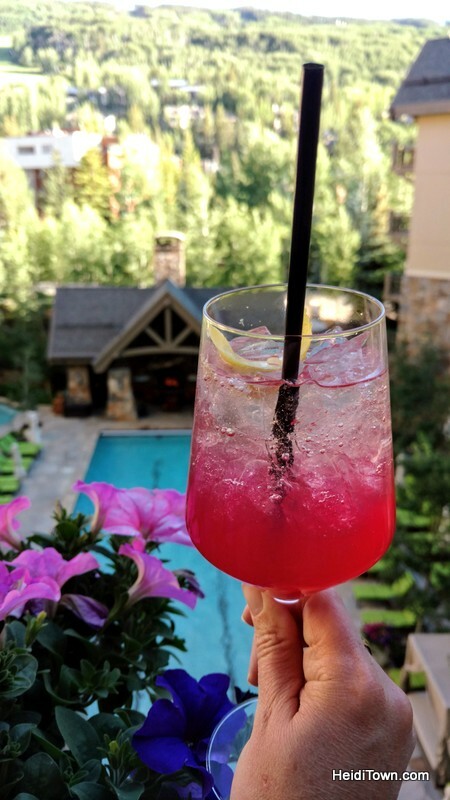 Cheers to Vail and cheers to the Four Seasons Vail! This event isn’t just for wine lovers, although more than 25 wines from the Southern Hemisphere will be available to taste. This picnic-style event also features 20 restaurants from the Vail Valley that will prepare special, foodie delights for the event. If Taste of Vail is any indicator, these incredible restaurant chefs will work to create something truly memorable and I can’t wait. Thank you to Four Seasons Vail for hosting our stay.